Whether you want to send 10 holiday cards to friends or you want to provide a gift to 200 employees and customers, you can do so and empower students with the gift of literacy, all at the same time. Jennifer, an aspiring high school teacher, designed the artwork for this festive card. 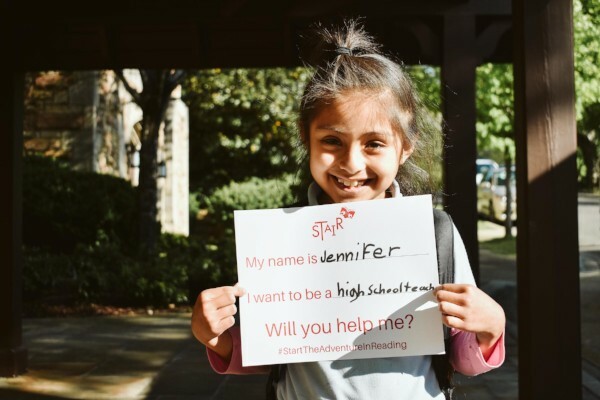 Your donation will help ensure that over 200 students like Jennifer are equipped with the tools they need to be successful in school and in life. For organizations donating over $1,000, cards can be customized to include your organization's logo and preferred holiday greeting. 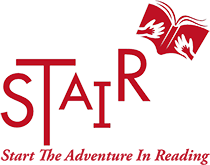 Contact Liz Hixson, lhixson@stairbirmingham.org, for more information. Please enter donation amount (example: 100). How would you like to get your cards? Pick up at the STAIR office (3703 5th Ave S. Suite 400). Have them mailed to you (minimum donation of $100).